I attended the first evening at the Catholic University (KU) in Leuven. It was good to see a nice turn out with my estimations being about 700 attendees. I wasn’t sure how packed it would be, as it didn’t seem the meetings have been that greatly promoted, at least amongst the international churches. But the large lecture hall was pretty much filled from front to back. The wonder and grandeur of life, the epistemic desire to know truth, the supreme ethic of love and the security of knowing the eternal. Within each major point, there were some good, reasonable and solid sub-points brought forth. 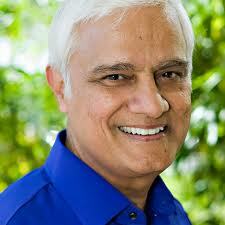 I appreciated all that Ravi had to share, but I do have to say that, at times, I wondered if it was still too much of the ‘old school’ apologetics, in the vein of a Josh McDowell. What I mean is that, it might have been built a bit too much on making an empirical, evidential case for the existence of God. I believe that it is good to use our reasoning and to look at things from varying philosophical approaches as an apologetic, a defence, of what we believe, especially within the Christian faith. But, at times, if not mostly, I believe it is that whole point of wonder that really captures us, draws us in to Christ. You see, I don’t think Ravi would disagree with my sentiments above. It’s just that, when push comes to shove, it seems Ravi is going to normally bring a rational and reasoned approach to the table in trying to lead people to Christ. But I know plenty atheist and agnostic friends that wouldn’t be drawn to Christ by such an approach. Matter of fact, one particular agnostic has been attending our church gatherings for a half-year now (and he came along with me to the Ravi lecture). But I am convinced he will be drawn to Christ by being in the midst of a Christ-loving church community and catching the grandeur of our God in Christ, not through greatly reasoned explanations. Well, I do think this friend would come to Christ if every one of his reasoned questions were answered. But that will not happen this side of eternity (and maybe not when the kingdom fully comes). Hence, my thoughts as what would really draw him to the Lord. Considering these things, I didn’t feel the Q & A time following the lecture went that well. The Q & A was only 30 minutes in length and only 4 people got to ask questions (and I suppose all 4 of them were not Christian believers). I know in those times, dialogue is not too greatly possible, and Ravi did invite them to stay around after for more discussions. But, with challenging questions put forth, and I think Ravi responded very reasonably and helpfully to the questions, I still believe he could have engaged the personal a little better. Of course, after some 4 decades of doing this, he has pretty much heard all the questions that could be asked, at least categorically. And so maybe with the large lecture setting and knowing his answers probably moved somewhat into auto-pilot, I think the Q & A time wasn’t as satisfying, not just to me but to the inquirers. Not to mention that I had questions of my own – not to convince me of the claims of Christ and Christianity, but his thoughts on post-modernism, the state of Europe, the state of America, the state of the developing world, etc. I would have been interested to hear more from him on those topics. But such was not a night for that. So it was a good lecture, but the Q & A time could have been better directed. I do pray that it did get people thinking, stirring in them to search for the Truth, which we know is ultimately found in a Person. If interested, here is the full lecture given. This entry was tagged apologetics, Belgium, Ravi Zarcharias. Bookmark the permalink. Enjoy reading your thoughts on an ongoing basis Scott. Lekker! Hi Mike. Thanks for the comment! Are you still doing much at eclecticchristian? Or at IMonk? On a leave of absence from both. Have just finished renovating a house, and have had to deal with some family issues. On the positive side, I am working on completing a commentary on Mark, using largely unpublished material from Michael Spencer as its base! I agree that the intellectual issues that people profess to have will probably be trumped by their seeing a good Christian witness in front of them. I appreciate good, intellectual arguments, but I appreciate holy living even more. That is the light that Jesus tells us we should let shine in our lives.